Gulliver’s Travels is justly regarded as one of the best satirical novels of all time, although its author, Jonathan Swift, claimed he wrote the book “to vex the world rather than divert it.” Politicians of the time were indeed vexed at being mocked in its pages. It seems the author’s physiological descriptions also proved a bit vexatious, according to a charming new paper in the Journal of Physiological Sciences. 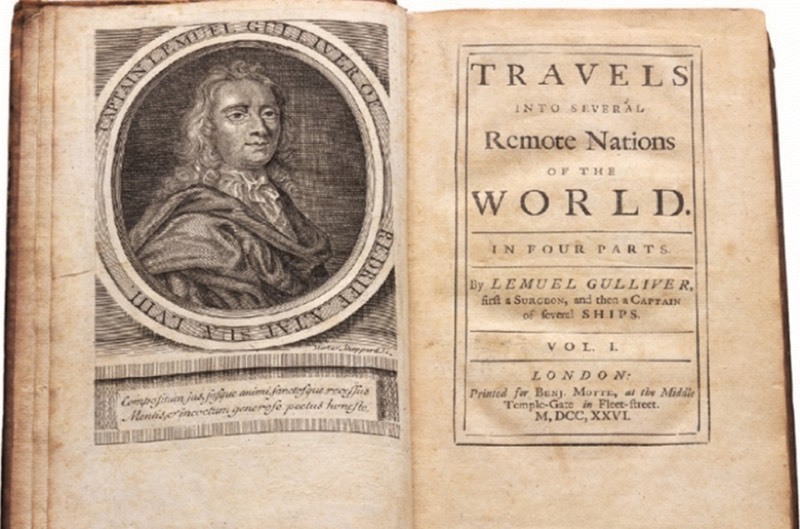 First published in 1726, Gulliver’s Travels relates the fictional adventures of one Lemuel Gulliver, “first a surgeon and then a captain of several ships,” according to the book’s lengthy subtitle. During his voyages, Gulliver encounters several unusual species: the tiny people of Lilliput, the giants of Brobdingnag, talking horses called Houyhnhnms who rule over the deformed, uncouth Yahoos, and the inhabitants of the flying island of Laputa, who devote themselves to the study of science and the arts but have never figured out how to apply that knowledge for practical applications. Apart from its literary qualities, Gulliver’s Travels provided ample fodder for eagle-eyed experts, since Swift couldn’t resist going into great detail about the physiology of his fictional species, practically inviting closer scrutiny. Toshio Kuroki, special advisor to the Japan Society for the Promotion of Science and professor emeritus at the University of Tokyo and Gifu University, read Gulliver’s Travels for the first time with his book club. Having spent a long, prestigious career conducting cancer research, Kuroki immediately noticed an error on Swift’s part when estimating Gulliver’s energy requirements compared to that of the diminutive Lilliputions. It spurred him to look more closely at similar passages in the book, and to make his own comparative physiological analysis of the fictional creatures encountered by Gulliver during his travels.